Top 5 Cleanest Rivers In The World - Are You Ready To Be Surprised? 5 Cleanest Rivers in the World: How did they do it? Throughout the course of our colourful history, rivers have served their purpose as the cradles of human civilisation. By conventional definition, a river is a natural body of fresh water that flows towards bigger bodies of water like oceans, seas, and lakes. Stream, creek, brook, rivulet, tributary, and rill are just a few of the names used for smaller versions of a river. Since ancient times, we have mastered the art of water dependence and never fail to accumulate a list of things we can benefit from the rivers’ crystal waters. From basic needs like drinking, bathing, and cleaning, towards the complexity of agriculture, industrialisation, and even electrical generation. We have developed too much dependence on water forms to the extreme of polluting and even killing it. Some rivers are so heavily polluted to the point that almost all of its life forms are stripped off from existence. Ironically, the very life most rivers are once brimming with is now cold as dead. But what if I told you that despite the plague of pollution humanity has brought upon the world, some rivers remained pristine, or shall I say, saved? From here on, let’s keep the good news running. So, stick around as we delightfully unravel the top 5 cleanest rivers in the world and their remarkable back stories! 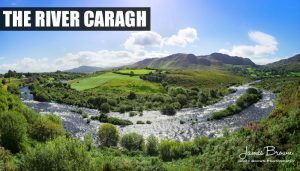 Located at the green meadows and rich farmlands of southwestern Ireland, Caragh River has made it first to our list of cleanest rivers in the world. Protected by the National Conservation Law, the river experienced very minimum pollution throughout its record. it’s a home for countless freshwater species and was made famous as the number one spot for salmon-fishing in the country. 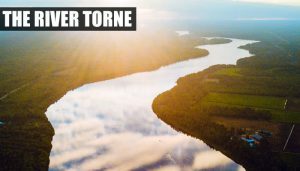 Flowing through northern Sweden and Finland, Torne River is next to our collection of cleanest rivers in the world. Half of the river forms the border of these two countries and is also proclaimed as the largest river in Norrbotten. Its nearly pure state and ultra-clean waters were mainly due to minimum human habitation. Kurravaara was the closest human village to Torne River, approximately 7 miles (12 kilometres) from the northeast of Kiruna. 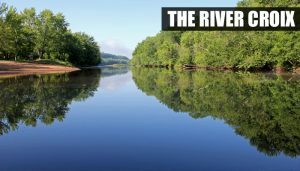 Third, in our list of the cleanest rivers in the world, St. Croix River is also a National Scenic Riverway under the protection of National Park Service. St. Croix River is actually a tributary of the Mississippi River, approximately 164 miles (264 kilometres) long across the states of Wisconsin and Minnesota in Northern America. 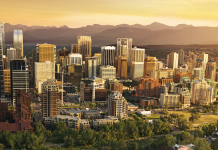 It generates a hydroelectric plant that powers Minneapolis – St. Paul metropolitan area. Like any other great stories, St. Croix River has its own historical struggle to share. Way back in the 1830s, our one of the cleanest rivers in the world is not actually one of the cleanest, but the dirtiest instead. Clogged with logs and timbers, the river served more like a transport road than flowing water. It was heavily polluted as the sawmill era reached its highest peak and almost destroyed the river’s biodiversity. It was not until 1915 that the public took charge of cleaning the river and slowly brought its life back to its full potential. Flowing through the mountain floors of Balkan countries of Montenegro and Bosnia-Herzegovina, Tara River was also known as the “Jewel of Europe”, or sometimes “Tear of Europe”. Not only that, but the river also forms the deepest European canyon! The deep-seated natural abundance of its geographical terrain has blessed the river with highly diverse life forms. The explosion of its biodiversity is too dense that it is even said to harbour primaeval species! With its teeming flora and fauna, River Tara of Durmitor National Park is considered as one of the cleanest rivers in the world. Most importantly, it is also one of UNESCO’s protected river under the World’s Natural Heritage and the World’s Biosphere Reserve. In 2004, a proposal was introduced to build a dam at Drina, called Buk Bijela, and flood Tara River. The public went crazy over the idea, but this time, they are not pleased. The government was silenced as they were flooded with petitions and protests against the plan. International scientists were also triggered from their seats as they backed up the complaints with scientific studies concluding that the project would be an ecological disaster! Because of the public’s efforts, the plan was cancelled, and the river was left untouched, keeping its spot as one of the cleanest rivers in the world. Surprisingly, securing the top spot for the cleanest river in the world, one of London’s pride and joy is the neat elegance of the Thames River. Amidst the dense population of London’s busy streets, the waters of Thames River was kept sparklingly spotless. It sure was at the spotlight when it comes to our list, but can you believe that this river has a dark history to tell? Believe it or not, Thames River, hailed as the champion of the cleanest rivers in the world was once declared “dead”. When a river dies, it means that the level of contamination was so intense that all of the biological organisms that once thrived in its waters died. As a matter of fact, Thames River was once called “The Great Stink” in the 1800s when a cholera outbreak took place when the contamination reached human households (since people obtain drinking water from the river). The contamination was primarily contributed by too much sewage wastes dumped in its waters. Well, whatever we do to nature will surely fire back at us in return. The outbreak opened the eyes of the community as lawmakers of the government found themselves collaborating with water treatment plants and banning irresponsible sewage systems in the 1600s. The public took the step very seriously, in fear of another outbreak, and continue to maintain the cleanliness of the river up to this very date. 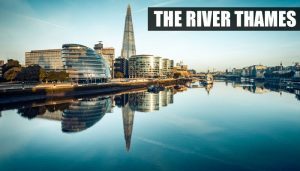 As odd-sounding as it is, the once dirty and ugly Thames River of London is now hailed for its cleanliness and biodiversity as the top pick for the cleanest rivers in the world! 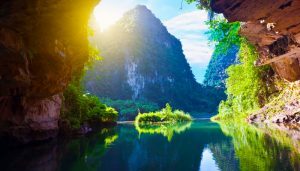 Despite the negative impact of humanity to nature, these 5 cleanest rivers in the world are few of the existing evidence that co-existence between Earth’s environment and human technology is very plausible.